Whenever the Reykjavik Marathon draws closer it’s time to start obsessing over every little detail, as runners always do! Here are a few useful tips from the locals for the Reykjavik Marathon. Hopefully on race day you can focus on the race itself without worrying about the small stuff. The Fit & Run Expo is in a different location than the start/finish line of the marathon. It is held in the sports hall Laugardalshöll in Laugardalur valley, the heart of Icelandic sports. Laugardalshöll is located approx. 5 km from the city center and is easily accessible by car, bus or foot. There are many buses from Hlemmur that go to Laugardalshöll (nr. 2, 5, 15 or 17). If you are staying in the city center closer to the harbor or the Pond you can take a bus (nr. 1, 6, 11 or 12) from Lækjargata to Hlemmur and change there. It is also possible to pick up your race package by walking or running to the expo from the city center. The running paths by the ocean are alongside part of the marathon and half-marathon route. At the expo there is a good selection of sporting goods and health related products. Most of the major running brands are on display, e.g. Under Armour (clothing–partner of the race), Asics, Nike and Brooks among many others. The prices are though in the higher end compared to the US, but still you never know where you can pick up a bargain. If what you need is not available at the expo you can find three running shops close to the expo. Not far from the expo is Glæsibær which is a shopping mall with a small running store; Sérverslun hlauparans (selling mainly. Newton, Inov and Craft). Another specialized running shop, Dansport (Saucony, Endurance, Ron Hill), is in Sundaborg 1. Also close by is Sportis (Asics, Casall) in Mörkin6. Please be aware that there is no pasta party at the expo, it is however easy to find Italian restaurants in downtown Reykjavik. When you go to pick up your number you receive a marathon entrance bag. It is not really a goodie bag as such, it is more in the Scandinavian minimalist style to be honest. In 2014 the bag included a t-shirt, a ticket to the geothermal pools in Reykjavik and a Reykjavik Marathon guide book. At the finish line you get a medal which can be seen in the picture to the right along with the 2015 t-shirt. As you pick up your registration package there are also usually many offers and some free stuff being handed out. 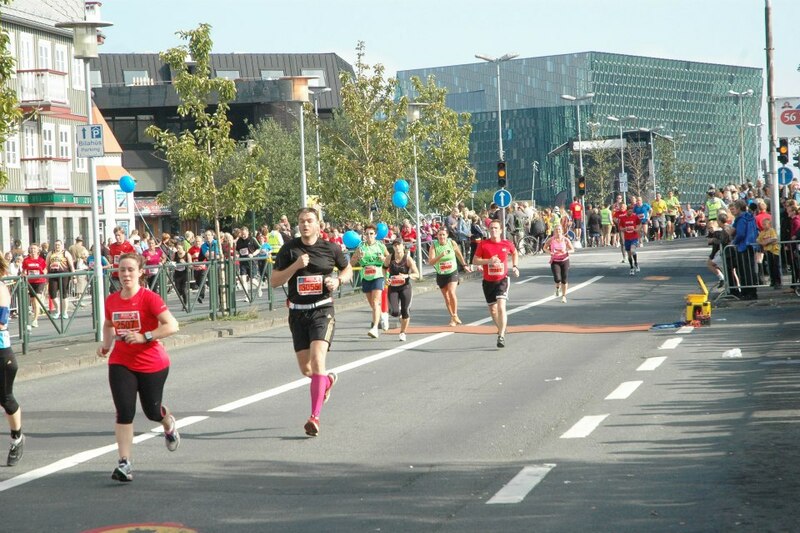 The race starts and ends in Lækjargata downtown Reykjavik, within walking distance of most hotels and guesthouses. The streets next to the marathon are closed on race day. The easiest/best place to find a parking spot is by the University of Iceland, about 1km from the start. 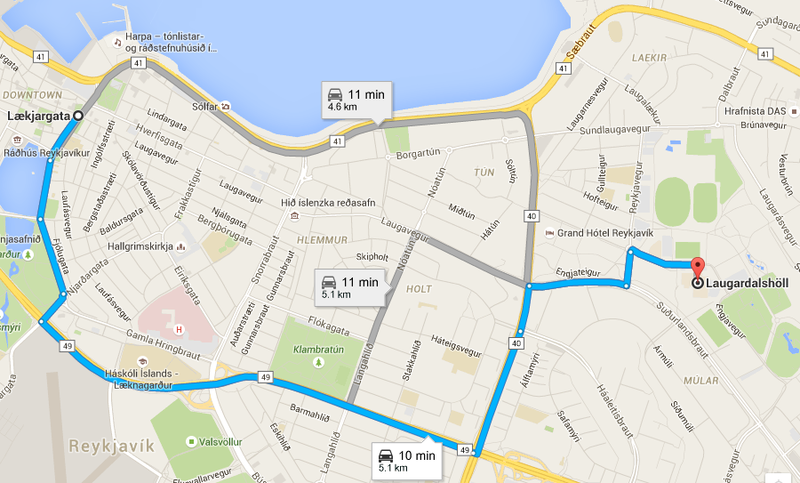 But if you are staying downtown Reykjavik, leaving your car behind and walking to the start is the best option. You can leave your bag in Menntaskólinn í Reykjavík, the oldest junior college in Reykjavik, which is a big white building next to the start. There is staff overlooking the baggage storage but it is very chaotic, so be careful leaving your passport, phone or other valuables there. The building gets very crowded just before the start, so if you have the option of leaving your stuff at home or with a supporter that might be a good idea. There are portable toilets outside MR. There are lines but not very long compared to big city marathons. Note that the Reykjavik Marathon normally takes place on a Saturday but not on a Sunday like most international marathons. The number of participants in 2015 was around 2,500 in half marathon and 1,300 in marathon. Therefore, it does not take too long for the runners to spread out even though the first kilometer is on a fairly narrow road. The distance is marked out on the course in kilometers so if you are used to miles we recommend that you get familiar with the kilometer markings. There are clear markings every km. The signs for the various paces of runners in the starting corral are also all in minutes per kilometer. 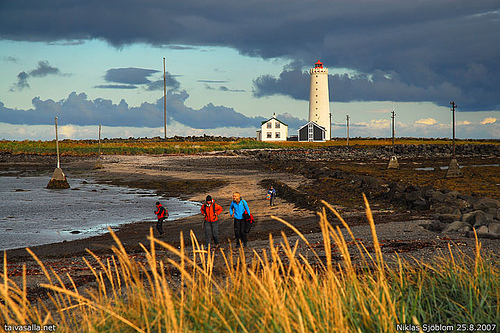 The average temperature for Reykjavik in August is around 12°C or 54°F, an ideal temperature for distance running. The Reykjavik marathon is therefore a great option if you are looking for a fast marathon. However, it can be a bit windy by the seaside which could affect your performance. The weather has though been good in recent years! The marathon and the half marathon follow the same route for the first ca 16 km but split up after that, the half-marathon runners head back downtown but the marathon course keeps on going in a circle, mainly along the seaside around Reykjavik. It is a little bit hilly but not overly so. The course is very scenic and beautiful and it takes you past many of Reykjavik’s main sights. Highlights include: Harpa Concert Hall, Sólfar (the Sun Voyager) by the seaside, Höfði where Reagan and Gorbachev made a step in ending the Cold War, Grótta lighthouse and the Government Offices in Lækjargata. 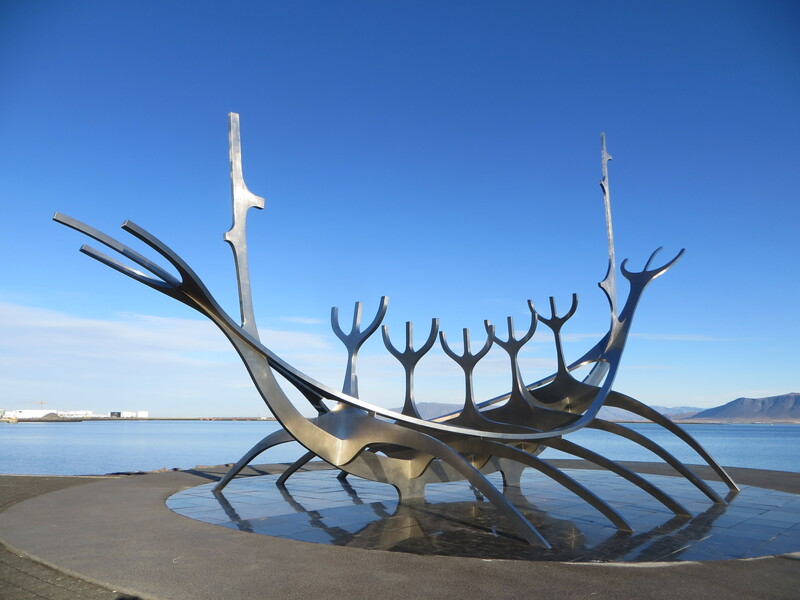 Reykjavik and surrounding areas only have about 200.000 inhabitants so big crowds are not to be expected. The support is fairly strong when running through residential areas but there is sparse support elsewhere. The spectators are though very enthusiastic and there is also a fair amount of entertainment on the course. The aid stations are about 5 km apart staffed with cheerful and helpful volunteers. They offer water and energy drinks in plastic cups (blue Powerade), and bananas for marathon runners in the second part of the race. Gels are not on offer in any of the drinking stations. There is water and Powerade on offer for everyone after the race, and bananas as well for the marathon runners. Marathon runners also get wrapped in an aluminium blanket after the race. Overall, the Reykjavik Marathon is a very well organised race. There is also a half marathon, a marathon relay,10K, 3K, and children’s fun runs on the same day so it is a perfect opportunity to bring friends and family along. After the race the runners usually linger downtown you can see runners all through the day in the restaurants and cafes. 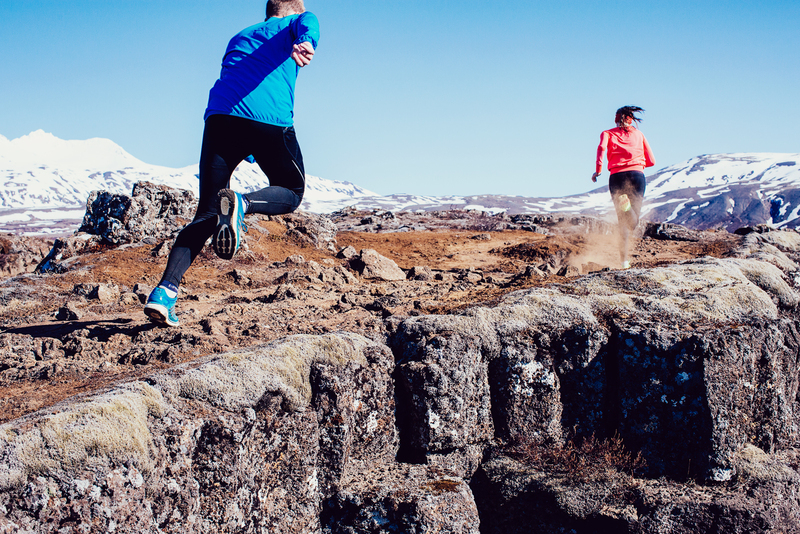 We highly recommend celebrating with your fellow runners by spending the day in Reykjavik. To minimize sore legs and help recovery after the race take a visit to the swimming pool after the race, soak in the hot tub and maybe take a short dip into the cold pot as well. Included in the race package is a free ticket to the swimming pools in Reykjavik. The map below shows the three swimming pools closest to the city center; Sundhöllin at Baronstigur, Vesturbæjarlaug at Hofsvallagata and Laugardalslaug in Laugardalur valley. 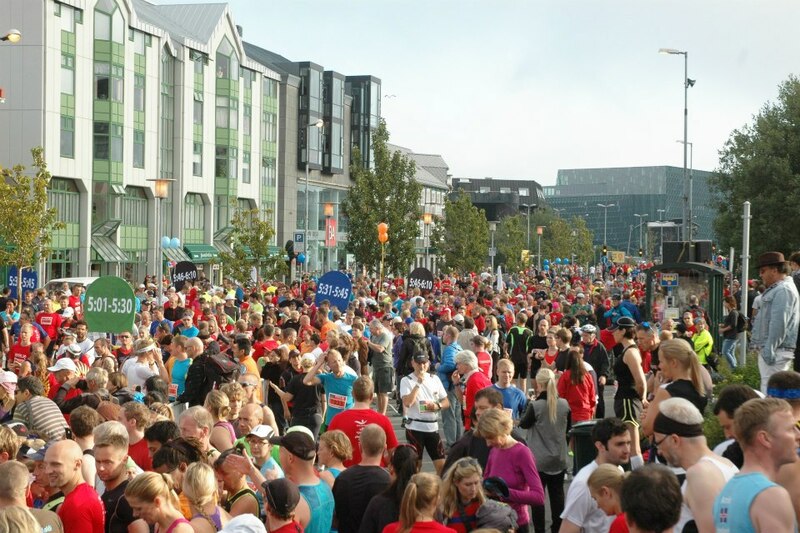 Reykjavik Culture Night, the biggest party of the year, takes place on the same day as the marathon. There are many events and happenings going on all day and into the night. The Culture Night closes with a big fire work show around 11 pm. Don´t miss it, place yourself next to Harpa, at Arnarholl or around the seaside at Sæbraut for the best view. Like in every other marathon some running gear might get lost on the route or during the day. You can ask the Reykjavik Marathon staff at the end of the marathon or you can contact the Reykjavik Marathon office on Monday to find out whether your lost running gear has been found. The telephone number there is +354 535 3700. Race results will be listed on www.marathon.is on the same day when the marathon takes place and later on www.hlaup.is, where the results are categorized by gender and age groups. Reykjavik marathon is on facebook, twitter and on instagram. Photos : Niclas Sjöblom, Sumarliði Óskarsson, Running In Iceland. See also our earlier article about the Reykjavik Marathon and our photo guide.